To our ears “the party that on balance prefers the fewest abortions possible” is a less than rousing slogan. We do not think that language would play well in other right-or-wrong issues. Would you be happy supporting “the party which will have fewer corruption scandals in America than the other” or “the party on balance prefers the fewest civil rights violations possible”? No? Well, we are not enthusiastic about supporting a candidate who sees abortion as less than a right-or-wrong issue. 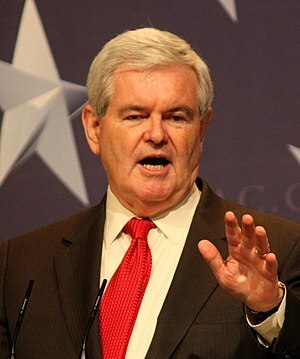 It may be that the abortion issue is what divides Gingrich from social conservatives. This much is certain: there is a sizable portion of the party’s base that will not tolerate a candidate that is not a pro-life stalwart. If party moderates and RINOs try to establish a new consensus on abortion by giving us a pseudo-pro-life candidate, they will likely trigger the electoral equivalent of a civil war that even the spectre of Obama may be unable to stifle. Good question. If Gingrich remains out front, we’ll get more chances to look at his pro-life position.